Appalams are the most included side dish in an everyday south Indian house to add on the crisp factor to their lunch. 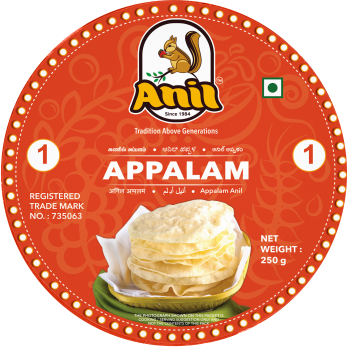 The Disc shaped appalams are made of well dried urad dal paste. To make this, the Gram is first soaked and grinded with water after which they are cut in shapes and kept away for drying. The appalams are sun-dried until all of the moisture from it is evaporated. They are then dusted with some flour to absorb any further moisture and packed away. 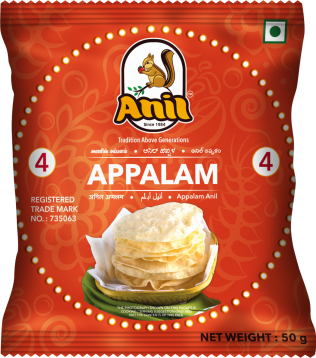 To make these Appalams, deep frying in a pan of oil for a few seconds in enough.